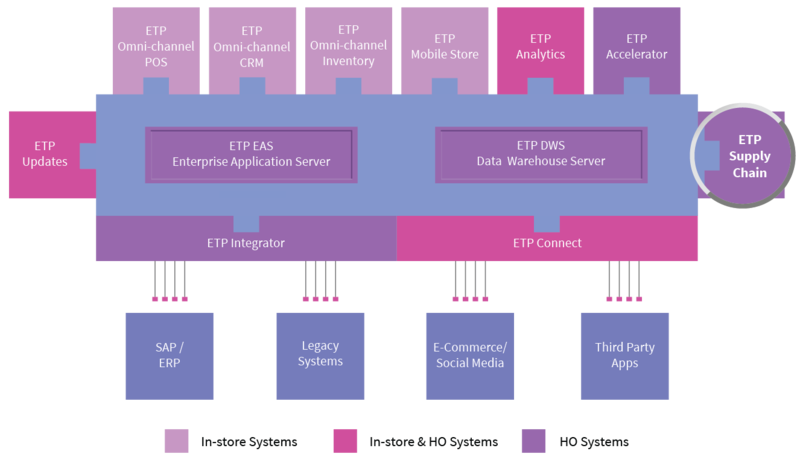 ETP Supply Chain is a multi-company, multi-channel, multi-currency, and multi-lingual order management software solution which addresses the key inventory management needs of the dynamic retail industry. This module helps retailers to cohesively integrate inventory management functions with their e-commerce platform or with the marketplace. It can process orders from across channels and select the best inventory location to fulfil each one of them. The category management feature in the ETP Supply Chain allows you to break down your range of products into discrete groups of similar or related products, known as product categories. Setting up the right prices for these products across different markets and channels is a very important exercise, it impacts demand, profits, and your image. Vendors are important business partners in the value chain and the system allows you to capture useful information about them and their capabilities. The Procurement function helps you to perform a set of activities, which need to be performed to acquire, check and receive item(s) from a vendor. The inventory management system in ETP Supply Chain tracks your inventory all the way from your PO to the final sale across stores, DCs and your CDC, keeping you updated of your ability to fulfill demand, whether it is in transit or at a warehouse or a store. The distribution module is used for stock movement between different warehouses and stores. Warehouse Management covers inbound logistics, outbound logistics, inventory valuation and stock take. With use of the ASN function in ETP Supply Chain, you can plan for receipts and inbound activities at warehouses and also more accurate ETA data for allocations to stores and ATP for other channels. ETP Supply Chain helps customers to formulate the pre-packs (size sets) for the new styles and place purchase orders at pre-pack levels for initial allocation to stores and place bulk at SKU level for replenishment. Replenishment Planning is based on the business rules you define for an item and warehouse and the interaction between them. ETP Supply Chain has sales order functioning to support retailers for executing the home delivery orders coming from stores or e-Commerce, wholesale sales to dealers or SOR for LFS and departmental stores for Shop in Shop model.